Summer Camp 2019 is Now Open for Registration! 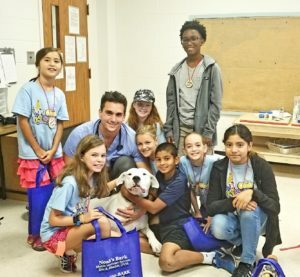 Club SciKidz Summer Camp Atlanta Open for Registration! Club SciKidz 2019 Summer Camp Registration has ten new camps for the coming summer camp season! We have been hard at work on adding a variety of STEAM camps to our summer lineup. We will be back at seven locations from last year: East Cobb Presbyterian, Emory Presbyterian, St. Luke’s Presbyterian, St. James UMC, St. Paul’s Lutheran Church, and Bridgeway Christian Academy. You can see each location’s schedule here. Junior Coders – Ozobots, Scratch Programming, Art, & Robotics. Summer Camp Atalanta Discounts & Coupon! As always, we are offering summer camp coupons and discounts! We have the ever popular, Multi-Session ($10 off) & (Multi-Sibling $5 off ) We are also offering a Fall Discount where you can save $25 (Ends 10/20/2018). We are looking forward to seeing you all at one of our Atlanta Summer Camp locations this summer!